HIGH-TEMPERATURE training at the University of Chichester has helped a former Portsmouth footballer prepare for the harsh conditions of the so-called toughest footrace on earth. 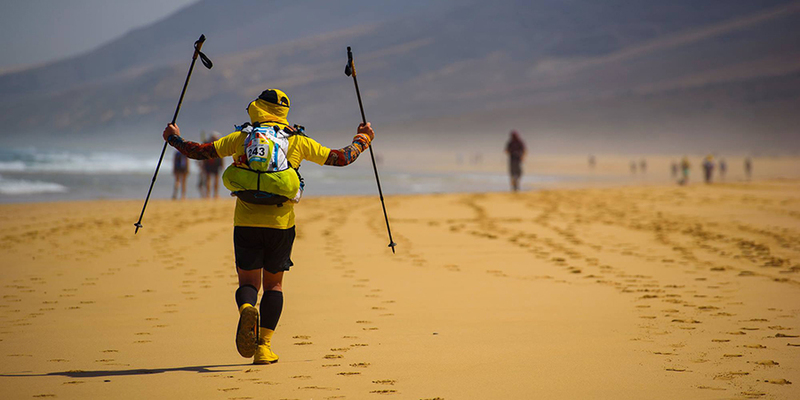 Marathon des Sables challenger Dave Waterman will be running the 156-mile ultra-marathon in the heat and sand of the Sahara to raise funds for his charity the Oakley Waterman Caravan Foundation. A key part of the former defender’s acclimation has been training with experts at the University’s Sport Performance and Rehabilitation Unit, known as SPRU. 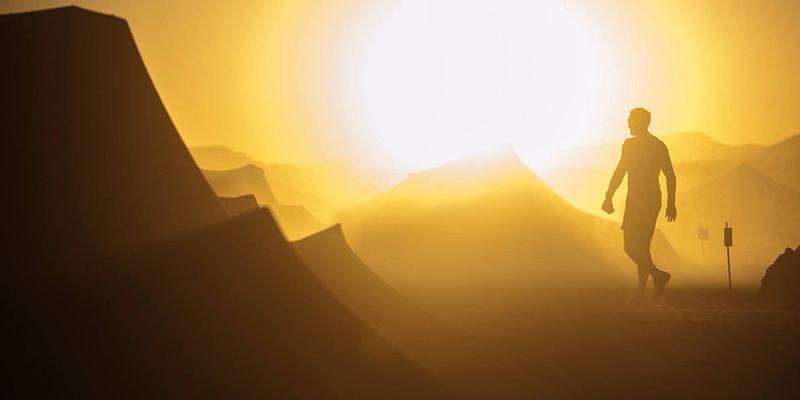 The 40-year-old completed five sessions in the University’s heat chamber to replicate the conditions faced in the desert, including temperature, humidity, and radiant light to imitate the sun. He worked with Andy West, a Senior Lecturer in Sport and Exercise Physiology, to monitor his core body temperature, heart rate, fluid intake, and sweat rate so that his acclimation response was maximised while ensuring his safety. 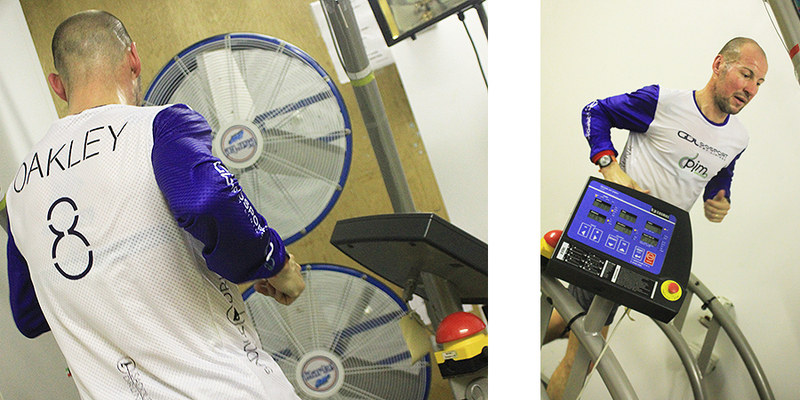 Dave said: “Training was going really well but I needed to get some heat chamber training and I’m so glad I did it. Psychologically and physically I feel much better now I’ve done the sessions, Andy West has been nothing but helpful and he really knows his stuff. “Using the climate chamber to acclimate, even though not over the same terrain, means that I will have already run in the temperatures I’ll experience in the Sahara. Within the first session I’d already learnt that I wasn’t drinking enough which would have been a big mistake going into the desert. The Oakley Waterman Caravan Foundation was started by Dave and his wife Lorraine in 2005 shortly before their six-year old son Oakley died of a rare form of cancer. It was while enjoying precious time together in a caravan that Oakley announced he wished they could purchase one so it could also be used by other children suffering with similar life-threatening illnesses. The Watermans, with the help of some friends, purchased their first caravan in 2005 and now own three across the south. These all offer families with children who have life-threatening illnesses a place where they can stay and enjoy some quality time with the whole family. The charity needs £40,000 annually to maintain the caravans and so Dave and other supporters, including foundation trustee and former Portsmouth and Tottenham Hotspur manager Harry Redknapp, get involved in events throughout the year. Dave has so far raised around £6,000 by taking part in the Marathon des Sables. The 156-mile multi-stage race is the equivalent of six marathons over six days. Day four is the toughest with competitors running a staggered 55 miles, with many running well into the night, while day five is a rest before the final marathon run on day six. 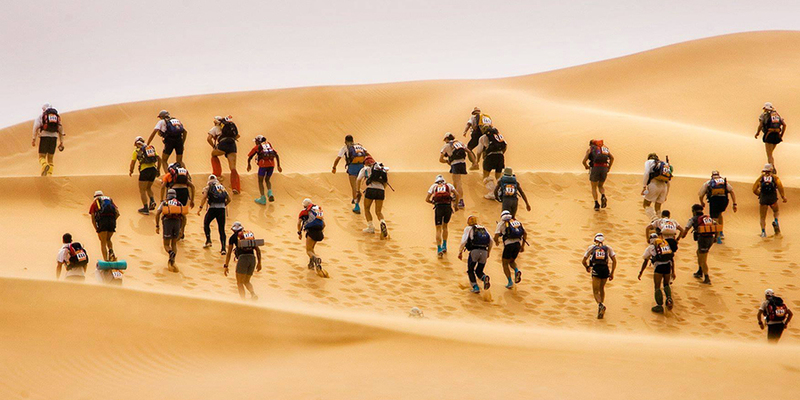 As well as running in the challenging environment of the Sahara, where temperatures can range from 50°C in the day to minus 3°C at night, each competitor has to be self-sufficient for everything apart from water. They have to carry approximately 11kg back packs with bedding, food, anti-blister kits, head torches for running at night, and other equipment essential to completing the race. The University of Chichester’s chamber is ideal for athletes who walk, run, cycle and row around the globe, as it can replicate temperature and humidity from minus 20 °C to plus 50°C and ten to 90 per cent respectively. It can also simulate altitudes of up to around 22,000m by reducing the oxygen concentration in the room from approximately 21 per cent to approximately nine per cent. Senior Lecturer Andy West said: “Repeated exposure to the heat helped Dave’s body slowly adapt to the heat – in this instance, the heat of the Sahara desert. This type of training is designed to increase body (core and skin) temperature, induce high levels of sweating, and increase skin blood flow. The University works with a range of athletes to help them prepare for a variety of environmental conditions before they compete in events around the world. To find out more about the University of Chichester’s Sports Performance and Rehabilitation Centre visit www.chi.ac.uk/spru or contact Andy West at a.west@chi.ac.uk. For more about sponsoring Dave for his extreme challenge at www.justgiving.com/fundraising/dave-waterman6. Otherwise find out about the Oakley Waterman Caravan Foundation at www.oakleywatermanfoundation.com.